Microsoft is working fast on getting the IE Clandestine Fox fixed. 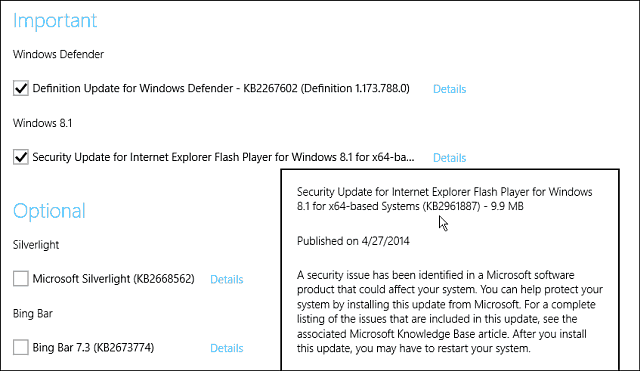 It released a patch to fix the bug for IE 10 in Windows 8 and IE 11 for Windows 8.1. Over the weekend Microsoft confirmed a new zero-day vulnerability that affects every version of Internet Explorer. This exploit named Operation Clandestine Fox affects all versions of Internet Explorer from version 6 to 11. This security vulnerability caused the Department of Homeland Security in the United States to issue a statement telling people to not use IE. When things like this happen it’s good to know when patches become available. Apparently Microsoft is working fast on getting things fixed and today the company released a patch to fix a part of the bug for IE 10 in Windows 8 and IE 11 for Windows 8.1. There are patches now available for Windows 8 and Windows 8.1 that you should download now. Today, Microsoft released an update (2961887) for Internet Explorer 10 on Windows 8, Windows Server 2012, and Windows RT, and for Internet Explorer 11 on Windows 8.1, Windows Server 2012 R2, and Windows RT 8.1. The update addresses the vulnerabilities described in Adobe Security bulletin apsb14-13. If you’re running Windows 8, 8.1, Windows RT 8.1, or Server 2012 I strongly recommend you run Windows Update manually, or download the appropriate patch from Microsoft’s support page. Windows RT users will have to get it by manually running Windows Update. Thanks for the updates, Brian. Will you push out groovyPosts as Microsoft posts patches for the other affected systems/IE versions?